Koshu Kajikazawa by Hokusai, made between 1890 and 1940. Color woodblock print. Summer's long, steamy days have us daydreaming about a seaside getaway. To cool off, we're turning to Japanese woodblock prints for inspiration. 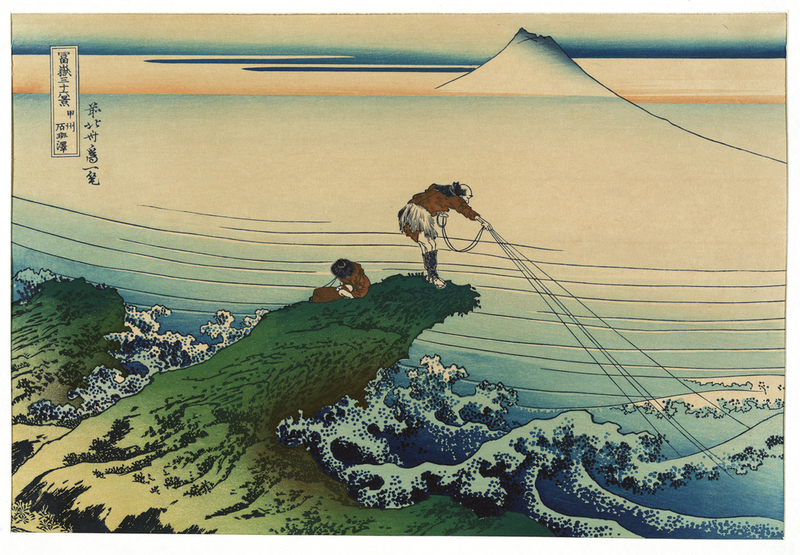 These images of fishermen working in a deeply pigmented ocean are examples of Ukiyo-e woodblock prints. Ukiyo-e (pictures of the floating world) is a genre of Japanese art from the 17th-19th century that depicted the transitory pleasures of everyday life: work, theater, travel, and beauty. Hatō zu (Waves) by Uehara Konen, 1878-1940, Woodblock print. Initially woodblock printing in Japan was used to create books. However, during the Edo period (1603-1867) ukiyo-e printmakers used the woodblock print as a medium to conveniently and quickly reproduce images for Japan's growing merchant class. Woodblock prints are made by carving an image into a block of wood and then evenly coating the surface with ink. A piece of paper is laid over the block and the back of the paper is rubbed, thus transferring the image (in reverse) to the paper. Not familiar with woodblock prints? Try this interactive video from the Museum of Modern Art. 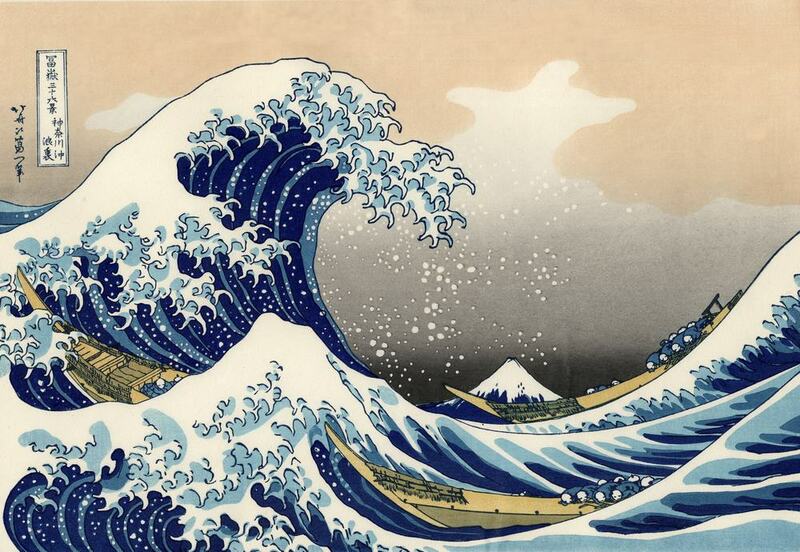 The Great Wave at Kanagawa by Katsushika Hokusai (Japanese, 1760–1849). Woodblock from the Edo period (1615–1868), ca. 1831–33. Have a favorite ocean image? We'd love to see it---leave us a comment or share with a tweet!